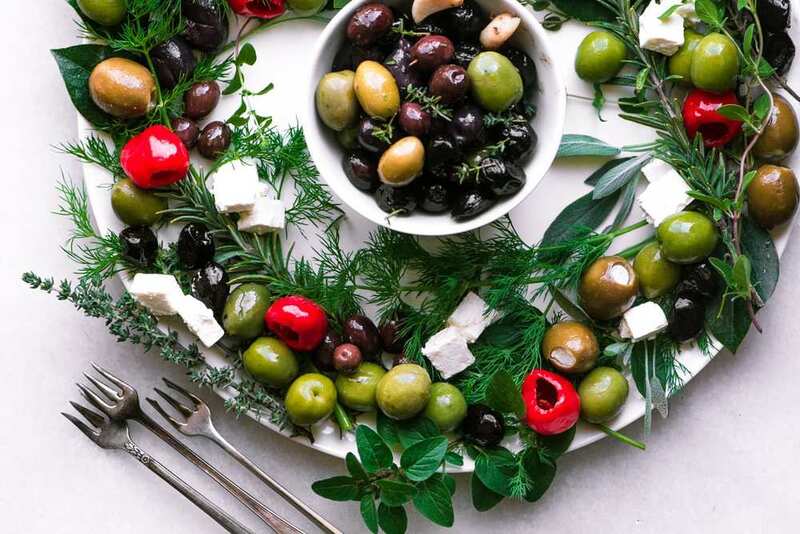 My Festive Olive Wreath Appetizer is such a fun appetizer for the holidays ~ olives are easy, they're healthy, and fit just about every diet out there. Arrange the herb sprigs in an overlapping fashion to form a wreath around a large platter. Top with the olives, cheese, and peppers. If you like you can add a small bowl of olives in the center of the platter.